In yet ANOTHER close battle in this historic week of Lent Madness thrill-a-minute action, Martin Luther finally put away the feisty Joseph Schereschewsky with a late surge 52% to 48%. Today it’s an intriguing battle between two saints: one ancient, one modern. In fact, Sarah is the most ancient saint ever to make an appearance in Lent Madness while Jägerstätter is about as modern as we get. If nothing else you, valued Lent Madness voter, have a clear choice. The choice itself may not be clear, of course, without some serious discernment, but Sarah and Franz represent quite distinct eras in the realm of faith. To get to this round, Sarah narrowly defeated Elizabeth Ann Seton and Franz upset Joan of Arc. This is both the penultimate battle of the Saintly Sixteen AND the last matchup of the week. We’ll take a deep cleansing breath over the weekend and be right back to it first thing Monday morning with Amelia Bloomer facing Fanny Crosby. Lent Madness rolls on! The arrest and imprisonment of Franz Jägerstätter was not a shock. As the Nazis overtook Austria, Jägerstätter talked openly about his condemnation of the Nazi ideology. When greeted on the street with a “Heil, Hitler!” Jägerstätter would respond “Pfui, Hitler” (roughly, “Ugh, Gross, Hitler”). From 1938 on, Jägerstätter told the story of a dream that he had about a train. It was a beautiful train – attractive especially to the youth that streamed toward it. The voice in the dream was unequivocal, “This train is going to hell.” The dream served as a warning to Jägerstätter that no matter how attractive the Nazi movement seemed – especially to young people – it was nothing but pure evil. Franz Jägerstätter’s writings bear witness to an unwavering faith and prophetic voice in the face of great adversity. Many of these letters and essays were written in the brief span of five months between his arrest and execution. Interestingly, much of that time was served in the Tegel Prison – which also housed Dietrich Bonhoeffer at the same time. Jägerstätter is clear that his refusal to take part in the Nazi machine was not an attempt to influence opinion, or to change the course of the war. It was simply the right thing to do – and doing the right thing made all the difference, regardless of the cost. “Whoever sacrifices everything for God’s cause has made the best swap,” he said. One of the challenges in writing about Sarah’s faithful actions and wise words is that so few of them are remembered. She is often a passive character and a silent wife. Perhaps 1 Peter 3:6 summarizes her passivity best: “Sarah obeyed Abraham and called him lord.” When we see her agency we best watch closely. In addition to the burden of barrenness, Sarah also was subjected to many of Abraham’s worst ideas. Two (two!) times he tried to pass her off as his sister. Sarah gamely played along but imagine the horror and struggle (and her commitment to Abraham to see it through). She also agreed to let Abraham attempt to fulfill God’s promise on his own through Hagar. When Hagar conceived and gave birth to Ishmael it was yet another reminder of Sarah’s shame. Once the promise was finally realized, Sarah had to watch as Abraham took her long promised son to sacrifice him (although the Bible is clear that it was simply a test, neither Abraham nor Sarah does know this). Sarah certainly saw Abraham preparing for the journey and was forced to ponder the implications. Given Abraham’s track record for bad decision making, perhaps we should talk more about Sarah’s faith than her husband’s. While much that has been described is reading between the lines, one ancient text, The Testament of Abraham, presents Sarah as an explicitly strong and insightful woman. She recognizes God’s messenger when Abraham does not and helps him see more clearly. Perhaps this was more often the case than not. 238 Comments to "Sarah vs. Franz Jägerstätter"
Sarah. I’m so disappointed, for the most part, with the voting this year. Oh well. All my favs were eliminated in round one. Sigh. I keep thinking that I’m fond but get sucked back in. No muck for me thus year. Are you the Sheila who used to live in Mahopac? I seem to have felt the same disappointment the past few years in a row. Agree with Sarah but expect Franz to win easily. Gave a great weekend, everybody! The SEC does a good job of monitoring the difference between actual voting and spoof votes (as we have seen this season). There is often a surge of votes as people get home from work, or finish family evening time. Late surges may occur when one’s computer is causing havoc and not registering one’s vote, so, I admit, I try a 2nd or 3rd time. Then, give up! I wanted Handel to win the whole thing, or at least make it past the round of 32. Although… Fanny Crosby was pretty awesome too, and I wouldn’t mind if she won the whole thing either. There were some hard match ups in the round of 32 this year. That is why it is wise to just bookmark http://LentMadness.org/ and not check those “Notify me” boxes underneath the comment box. I once made the mistake of checking “follow-up” comments one thinking I would get only replies to my comment, instead I got every comment on that post thereafter. I quickly realized my error as the deluge appeared immediately. To spare my inbox, I set up a folder & a rule to redirect LM comment emails to said folder. Franz is fascinating, but I went with Sarah. Still welcoming Lent Madness’s first Old Testament saint. Franz Jagerstatter is a saint for our times, when we are asked to resist a political regime that is bent on making people hate again, ruining the environment, and believing lies instead of the truth. Most importantly, Franz would have been against the ramping up of the war machine, which will only be used for destruction, and not the life-saving gift of the Gospel. Oh my gosh! Jagerstatter has my vote. I always wonder what I would have done in the face of that evil. Would I have given my life for my faith in Christ ? Hmmm. We may yet have the chance to find out if we will stand for God – or stand for evil. Praying for wisdom and strength. I don’t think I would have had the courage and strength, personally… but maybe I’d be pleasantly surprised. I couldn’t have said it better. Well done, Charles Crawley. The quote about “Nominal Christians do the most harm to the church,” really spoke to me about our current climate. Like!!! Thank you for your eloquence! Amen, Charles! My thinking exactly. Beautifully stated Charles. I thought this would be an easy vote for Sarah, but passive obedience isn’t always the way to go. The information on Franz was not only enlightening, but thought provoking for current times. This match-up is so horribly unfair! Sometimes, life is not fair. Once I fell off my bike because a stick got caught in my spokes. I scraped my knee. That did not feel fair. Not only unfair – it’s Madness!!! Jägerstätter. We don’t even know if Sarah existed. Bowing out of the voting at this point, as I keep reading about “late surges” in the voting that change the outcomes. I didn’t much care until yesterday’s “late surge” gave the vote to Luther. Next time you shake your head at Christians who commit hateful acts, and consider claiming that such people aren’t “real Christians,” remember how well Luther did here and ask yourself if you’d say the same thing about Luther’s vile writings against the Jews. I’m a historian, so stop falling back on the “everyone back then was an anti-Semite” nonsense. Not only untrue, but a facile excuse to dismiss violence. I agree with your statements! What about the “late surge”? Did not this happen at least a few times this year??? I’m about fed up with all this as well. Late surges have happened all week. This is my first year doing this. The weeks of the first 32 bracket had few close races or lead changes. Is this lead-changing trend more of a feature of the Saintly 16? I agree. I woke up disappointed that a late surge bumped Luther. It was a clear win most of the day for the other. Sad that a few christians cant have some good clean fun. Since all but one of my choices in the Saintly 16 have lost out, I’m beginning to wonder if my vote is a curse. Perhaps today’s vote for Franz will redeem me. That’s where I landed, too, Sofie. I was sure I would vote for Sarah, but then I thought about her as myth. And Franz’s story is so real and relevant to us in 2017. Also, Sarah was pretty horrible to Hagar and Ishmael, if she did really exist!! I, for one, believe that Sarah did exist: even though the Abrahamic stories do have the feel of legend about them, that is not the same as myth. Legends are a distinct turn from, for example, the mythic stories of Adam and Noah because they (unlike myths) are considered to have had some degree of facticity underlying them, however buried it might be. It wounds me greatly that we are so ready to dismiss women as “not existing” when we accord both reality (even as dressed up in legend) and honor to the men of the stories. As for Luther’s anti-Semitism, it did come late in life when there was a question as to Luther’s sanity. Earlier, he was defender. Luther was indeed a great influence on the Church, and without him our churches would not exist in their current forms. However, I have to agree with Sofie’s view of Luther. He is worthy of respect and admiration up to a point, but not to the Golden Halo, in my opinion. I wish we could see this in perspective. Luther’s view would have been right at home in the USA right up to the end of WW II. Don’t try to make him an outlier; that’s not really true, with all due respect. Had to go with Franz this morning. I love Sarah, but Franz is my guy in this one. His life was such a powerful witness to resistance through the Gospels. How eloquent! Thank you, Scott Madison. I voted for Sarah in the first round and was leaning that way now but your comment made me pause and then I changed my vote. And then that poignant story of Franz’ beatification! So moving. So necessary to have saints and heroes in our own time. Sarah, in honor of friends and colleagues who struggle with infertility. Agreed! Sarah and Hannah have been my special saints for many many years! 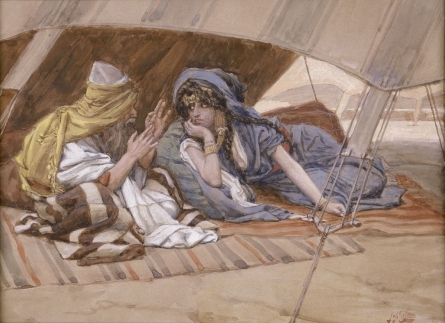 Although I love Sarah, I also remember her insistence that Hagar and her son be sent away. An unkindness that just tips me to Franz. Reading more about Franz, also, compels me to vote for him. I’m baffled by the statement in the write-up that Sarah went along with Abraham’s plan to impregnate Hagar. In Genesis 16 it says, “Now Sarai, Abram’s wife, had borne him no children. But she had an Egyptian slave named Hagar; so she said to Abram, “The Lord has kept me from having children. Go, sleep with my slave; perhaps I can build a family through her.”” It was Sarah’s idea and when Hagar did what enslaved women had no choice about doing, she abused her and chased her into the desert to die. Only God’s intervention saved Hagar and Ismael. Sarah’s actions not only were cruel and selfish but also demonstrated a lack of faith in God’s promise of a child. I am never, never, never voting for Sarah. I agree with Sarah’s hard -heartedness, even though I struggled with infertility too. There was an episode of West Wing right after 9/11 that talked about this as the beginning of the split that would follow to our own times between Muslims and Jews/Christians. Wilhelmina, this is exactly why I can’t vote for Sarah. My heart aches for Hagar. Frantz had the strength and courage to live his faith and do what needed to be done. He is an example for us all. I think Jagerstatter may be wearing Cinderella’s slipper this year. After Dietrich Bonhoeffer’s run to the Halo last year, I wonder if that’s saying something about our societal concerns as Christians in this day and age, that the modern day saints who stood against tyranny resonate with so many people. Sarah. She laughed and persevered; a good omen for modern times. As is Franz, but I went with Sarah in all her ragged humanity. After the Issac story, Abraham went to Beersheba (Gen 22:19) while Sarah lived in Hebron (Gen 23:2); they were not longer living together. When Sarah died, Abraham ‘came’ to mourn Sarah’ and negotiated a plot because he did not reside there. In Hebrew he is called ‘ger’ and ‘toshav’, a stranger and a visitor. “Read between the lines, [of this] one ancient text” as you will. words much needed at this time. When I read between the lines of the narrative, I see a woman whose heart finally broke in two after nearly losing her child at the hands of Abraham. It is an angst-ridden story and not easy to watch. I believe Franz is a good model for the politics of today. We must fight against the urge to further, and legally marginalize those already on the margins, and refuse to fall to lower global measures of environmental concerns and leadership. Franz seems a model to look toward, speaking out against the establishment and writing to upholf gospel values of love and equality, seeking not to judge, but to pray for others misguided and misled by the powers of the times. I deactivated all my social media accounts due to the biased comments about politics. I thought about doing so on second round of Lenten Madness but have been hanging in there . Thinking that may have to stop… As someone pointed out last time, “no parties or names are mentioned” in the political posts. But how dense can anyone be not to recognize the right from the left; the acceptance and willingness to work together to change what we do not like vs the condemnation of everything and a righteous outrage at all that we disagree with…. I think I need to leave. And just pray for all of us. God bless us, every one. I’m so sorry you think you may have to stop. I’m quite sure it’s not the intent of posters to alienate or offend you. I think, to some degree, this Madness endeavor is an embrace of each other. Part of huging is putting yourself out there, and part of it is other people’s body odor, pleasant or not. I am convinced there is fear on the right and the left. If we all can hear and speak the fears, rather than the anger and judgment they sound like, we’ll all be the stronger for it. No, you don’t have to put up with it by any means or reason. I know first hand it can be difficult and tiring. But I’d personally rather have you here, for balance, and simply to hang together. Leamarie, thanks for that insight. Franz is a great guy but not because he raged against the Machine, but because he did something (or didn’t do something.) Your point of how we ought to apply Franz to our own circumstances hit me like a spark. Our gospel feet have lots of places to go. Sarah without a doubt! Whether she truly existed or is just part of our ancestral story as Jews and Christians, she represents a faith beyond belief. As a retired Labor and Delivery nurse, I remember long ago care for a devoted Mormon couple in their 40’s who had much desired and loved 2nd son after years of waiting and praying (no fertility work up). In the recovery room their 20 yo 1st son came in and sat next to his mother holding his brother in his arms with tears running down his face, “I have so much to teach you brother. I have waited so long for you to come!” What faith that family had that one day they would be blessed with a 2nd child. Sarah all the way please! To me, a vote for Franz was also a vote for his wife, who, like Sarah, stuck with her husband through thick, thin and in between. This ties in nicely with the 23rd Psalm meditation in Forward Day by Day this week. Words for me today: “Yet even with this firm conviction, he remained compassionate to those who didn’t follow his path: ‘One must not think poorly of others who act differently than I have. It is much better to pray than to pass judgment on others.’” Had to go with Franz today, as a good example for our times. Yes. Particularly this year it would be good to have women saints who persisted. But Sarah, unfortunately did NOT persist, did not persevere. At least as our texts have it, she traded her laughter for bitter spite and (let’s not forget) possessive attachment issues with her son. No wonder she and Abraham were not living together in the end. The tradition is that after that unpleasantness at the hilltop, neither Sarah nor Isaac associated with Abraham again. Why am I not surprised? Well said, Sau Chi….am in complete agreement, though I am seriously tempted to bow out now. Kate, persist. Everyone is working things out. Games allow people to sort out larger life conundrums and that mos certainly playing out in Lent Madness. Franz for me today. Along with a small prayer that the light-heartedness of Lent Madness be preserved. Like mirth in many places today, it seems to be veering toward becoming an endangered species. Long live laughter. Hear, hear! And i’ve been somewhat disappointed with voting outcomes, but do love reading & learning about the saints. Agreed! That pic of Sarah was stunning. With Moses out of the running, I’m Franz all the way. The world needs more saints of nonviolence. While I love Barbara Brown Taylor’s image of Sarah as a “late bloomer,” and see that she, like most women in the Bible, gets awfully short shrift, I cannot ignore the power of Franz’s story, or the beautiful quotes provided in this write-up. Franz it is! Ask Hagar how saintly Sarah was. I’m going with Franz, a model of Christian resistance against an evil regime. Voted for Sarah. Keeping my perfect record for voting for the underdog. Franz, because he truly speaks to me this year. Also, I simply cannot get past Sarah’s treatment of Hagar and Ishmael. Had to go with Sarah. She had her problems at times, her lack of faith, but who among us would not have laughed when told in your old age you’re going to be a mother, let alone of nations. I give Sarah a lot of credit because when Abram came to her and said, “Guess what, we are packing everything and heading for a unknown place because God told me to.” she rolled with it. She is a saint in part for being the partner to Abram/Abraham. I believe it took guts to stand up to the Nazi’s. I also believe it took guts to wait out God’s promise of an heir. Both saints exhibited extra-ordinary belief in what they were told and conviction to see it through. That being said, I vote for Franz today! Both famous and not so. A matriarch by three faiths praised! Each endured crushing, barren strife. Each deserves ha-a-a-lo of gold. Can and must be survived. A child was her desire. Her laughter ri-i-ings through time. And spurs on loathsome rage. Still ring forth hope in fearful days. As God true will we seek. Each one a child of God unique. Again more beautiful words to such beautiful music. I a so enjoying your hymns!! I thoroughly enjoy writing them, Kim. It’s been the most challenging gift of a Lent discipline I can remember in years, but such a privilege, too. Thank you to you, to Lisa, to all whose comments keep me going each morning. You are blessings. You have such a talent for this sort of poetry, Diana. I look forward to your insights in verse every day. Knowing the hymn tunes (and alto harmony!) I find myself humming them through the day. Still chuckling about “…we would sing the ‘A-word,’ but it’s Lent” from last week! I hope someone, eg the Supreme Committee is collecting these wonderful hymns and will make them available, perhaps in a download. Thank you for your inspired creativity. I can’t imagine how you do this every day, Diana, but I’m glad you do. Best one yet, Diana! “Each endured crushing, barren strife” and “Her laughter rings through time” are pure poetry. Diana, Lent Madness is my Lenten devotional. I read further about the Saints and try to read all of the comments every morning. It is mostly through the considered comments that I am moved to prayer and contemplation. Twice, I have had to skip through some of the comments due to the constraints of my schedule, but, I always look for your hymn of the day. Thank you. Thank you, Rebecca. Your comment means a lot to me. When we get to the Golden Halo, will you use “For All the Saints”? or “I Sing a Song of the Saints of God”? Good question, Barbara. It’s a tough choice. Maybe two hymns? Will have to see what emerges from listening to their stories. Your Lenten discipline is bringing great delight to others. Your tune choices become wonderful “ear worms” for the day. Your ingenious line “The A- word, but its Lent” has become part of my prayer response with parishioners when a healing is witnessed, a joy celebrated, a worry relieved. Thank you, Diana! I still say Scholastica was set up…Framed by those Russian hackers!! I’m sorry that some people are beginning to sound like “conspiracy theorists.” I trust the guys who run this program. Let’s get on with it. Franz J. got my vote before. He gets it again! Sarah laughed. I voted for both of these figures in the first round. I am going to stick with Sarah. I was passionately committed to Dietrich Bonhoeffer last year. Possibly this year’s abhorrent political scene requires new martyrs, but I feel more drawn to long-standing faithfulness to promises. I’m with the late bloomers and the women who prevail. Plus Sarah was beautiful in old age, and that’s its own sort of miracle. I’m voting for the woman who became a mother at 90 and made the Abrahamic tradition possible. I’d like to see Sarah back in another year, but anyone who risks everything to stand up to Nazis in the name of God has my vote, this year especially. As much as Jägerstätter’s story parallels last year’s winner, Boenhoeffer (another great Lutheran), I have to vote with my heart for Sarah since I sort of named my daughter in honor of the woman who laughed at God. Franz definitely. It is important that we follow his example and make our professions of faith more than lip service, but action. Dare I say:especially in the curremt political climate. Do the admins read all of these comments each day? I would guess yes. I see that many people are bowing out this round. I wanted to note that my college daughter bowed out when fictional Sarah beat Mother Seton. We can debate fictional, I suppose, but our modern day saints seem better choices for the times in which we live. I’m not saying this well as I reread it. I’m voting for Franz because of his courage to stand up to the Nazis, and I do see parallels in today’s world. This is rambling and incoherent, but consider that you are losing voters including college kids who thought this was cool until faced with strange choices and disappointed with choices. I love this every Lent and will stick around. Sarah is my role model. I didn’t even know about Jagerstatter until I read this. It is easy to see why so many have voted for him in today’s political climate. If only voting for Jagerstatter would accomplish a change in our society. PRAYERS! Lent Madness is educational and fun. I have had a few disappointments this year, but will continue to read and to vote, because the practice helps me to learn more about holy people of God in whatever era. Not to downplay the vital work of the Supreme Executive Committee–Lent Madness is play as well as prayer. Voting for Franz today. Sarah! “While much that has been described is reading between the lines, one ancient text, The Testament of Abraham, presents Sarah as an explicitly strong and insightful woman. She recognizes God’s messenger when Abraham does not and helps him see more clearly. Perhaps this was more often the case than not. AMEN! Let us be reminded that the name of this game is: LENT MADNESS and according to the esteemed SEC, there is method to the madness. Madness, indeed! But educational & fun (unless you take it too seriously, like the people in that other bracket of madness). I too voted for both of these in the first round, but we know all we ever will about Sarah, and I had not heard of Jägerstätter before, and want to learn more about him. And as others have said, he is a man for our time. In interests of enlightenment, pronunciation guide: ‘YE -gr – STET -tn. Ä is closer to the English short e than anything else. I voted for Franz today, not because I did not recognize the value of what Sarah offers in terms of faithfulness – but because I can only imagine how difficult it was to sit in a prison cell and not have more support for your courage to stand up to Hitler and other persons and institutions that portray hatred. And then to go to execution for your beliefs and see this as a reward (the reward of heaven) takes such courage. To stay faithful and to continue to pray for others is an example that I believe speaks to us in these current times. Franz Jagerstatter got my vote today. He resisted (and his wife persisted) in the face of an evil that attracted so many other, even in the face of prison and execution. (Also got the country song “Long Black Train” stuck in my head, but I digress.) As for Sarah, I believe that she’s the one who suggested Abraham impregnate Hagar, then when Hagar did indeed become pregnant, took her frustration out on Hagar, who had no choice in any of this. Not to mention that once Sarah’s son was born, she talked Abraham into turning Hagar and Ishmael away–something that would have been a death sentence for the two of them if not for divine intervention. Sarah and her quiet strength. Myth vs historical fact: I vote for Franz. But my heart is still with Sarah for introducing laughter into the Bible. Sarah was no saint, so I didn’t care who was against her. In these times to speak truth as we are given it and commit to prayer those who see things differently! Sarah is a wonderful example of faith, not only for women but for all of us. That makes it very hard to vote against her, but I have cast my ballot for Franz. He held to his principles in the face of imprisonment and even death, and I feel that principled behavior is in short supply these days and needs to be honored where it is found. OK – have read all the comments – and I have one or several of mine own. First off, I agree with Joyce in Madison and Kesmarn – this is suppose to be fun people! and to Laura – so, your college daughter ‘bowed out’ because she didn’t like the fact that her choice didn’t win? Really??? Sounds like the kids at Yale (from my neck of the woods) who decided to ‘bow out’ of classes after the November election! Wonder what Mom and Dad, who are footing the bill, thought of that! One last comment – what part of’ ‘Illegal’ don’t you understand?????????????? You don’t like the law – change it!!! Sarah’s laughter was refreshing – and I bet God laughed with her. However, so much of the rest is conjecture. Jägerstätter stood on Christian principles, even unto death. Strikes me as as more deserving of a halo. I am puzzled by how many people seem to not be reading the story; rather they like the fact that this saint is the patron of reading and storms, and that one is the patron of infertility. I’m a lifelong musician, but that didn’t mean I voted for Cecelia, and I’m a constant reader, but I didn’t give my vote to Scholastica. I am more interested in what we can truly know of the life these people lived, of examples we can strive to follow. And that, my friends, is why my bracket is in ruins ;-). For some the choice is so close that someone being a patron of something in particular tips the balance. I have always loved Sarah. She followed Abraham into the unknown and trusted in God; but I had to vote for Franz today. Resistance in the face of evil. His life asks us what we would do. Since midlife added some roundness to my belly, people have often asked if I were pregnant. I usually laugh and say, “My name’s not Sarah.” Unlike Sarah, I was never given a child of my own. However, my husband and I are blessed with our beautiful goddaughter from Sri Lanka, who has given us two god-grandchildren. I have great empathy for Sarah, and vote for her today. I think the Lent Madness comments are true reflections of the current climate. I love Lent Madness, the SEC, Diana’s hymns, and what has been “in-your-face-funny” coupled with learning a lot. (My favorite, ever, was Christina the Astonishing.) But people are serious, worried and seeing precedents in history. That’s a good thing–if you don’t know history you’re doomed to repeat it. But I hope we don’t lose the lightness and joy. The devil hates to be laughed at. Sarah laughed, so should we. I voted for Franz because he was braver than I probably would have been, but I love Sarah, real or not. And would someone, please, tell me where is Oliver? Nancy! You are wonderful. You speak for me in every way. And I’m missing Oliver, too. I hope the snark hasn’t chased him away. Sarah…I thought she could go all the way. Because there are fewer women than men within the saintly realm, fewer still named in scripture and barely any noted in the Old Testament, Sarah gets my vote today. That and the fact God used her so mightily are more than enough pluses to earn my vote, but I hope everyone will consider elevating Sarah into the Elate Eight on the merits of her faith – faith in God, in her sometimes errant husband, our own Patriarch and yes, FAITH IN HERSELF. Can you imagine the strength and courage, physical endurance and incredible leadership ability she must have had?! Raising her family in old age, dealing with what must have been very trying relationship issues (although, yes, she set herself up for the troubles with Hagar), not to mention serving as matriarch to an enormous tribe of people – Sarah deserves your vote today! Thanks for the laugh this morning, Bill! I voted for Franz. I have been reading about him and other courageous people who stood up to the Nazi regime. Whenever governments are evil, Christians will need to speak the truth. Unfortunately, this doesn’t always happen. for those who do speak out, I think that they are truly saints! Lighten up fellow voters. Remember, Lent Madness is optional. And meant to be fun and enlightening. It is certainly enlightening today. I had never heard of Franz before LM this year. I am so inspired by the statement ” Life is painful when one lives as a lukewarm Christian.” That gives me something to ponder. Sorry, Sarah, I must go with Franz today! While the Biblical account of Sarah is overshadowed by her superstar husband, there is a rich tradition of stories honoring her in Jewish midrash. In these she is credited with being a great prophetess who guided her husband on his path of faith, an inspiring matriarch who’s righteousness moved Gentiles to convert to Judaism, and a stunning beauty who knew no equal. In one tale the taking of Isaac for sacrifice caused her to die of a broken heart, and her subsequent esteemed burial was attended by all the inhabitants of the land. It is unfortunate that such an amazing woman has once again been overshadowed by a man because her story isn’t told. I am still deciding how to vote, but, you said much of what I wanted to say in favor of Sarah. Elizabeth, this is such a wonderful article. I wouldn’t change my vote from Franz if I could, but I am simply delighted by the glorious midrash traditions around Sarah. I love that the traditions have her as the one in charge, giving Abraham holy guidance. No woman in the world could live up to this, but what a grand, glorious tradition that makes some of the Christian hagiography pale by comparison. Stay in , stay in! Do I detect the same division emerging in Lent Madness that infects out larger society. Yes, I was disappointed in yesterday’s outcome because I deplore anti semitism. All the more reason to stay in. 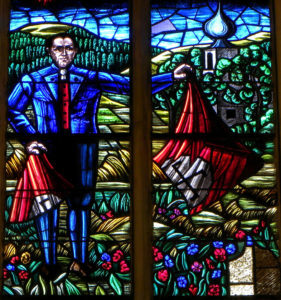 Franz gets my vote for all the courage he demonstrated against tyranny; courage to the end that can only come from God. I’m disappointed that my vote is being nullified by late surges. I’ve never been a fan of Martin Luther and looks like my votes are now all going to the losing saint. Enjoy reading and learning about some of these I didn’t know before and learning deeper about those that I do recognize. I’m rooting for Sarah, but know I will probably lose again. Oh well. all of the saints are winners, really. and I actually almost wrote that all of the saints are sinners, which is also true. Diane, YES! Right on both counts. Oh! It’s so much fun when Freudian slips are TOTALLY the truth. Great “error”! Posted this above, but it’s worth restating. The SEC does a good job of monitoring the difference between actual voting and spoof votes (as we have seen this season). There is often – and has been every year – a surge of votes as people get home from work, or finish family evening time. Not everyone has the privilege of being able to vote earlier in the day. Jägerstätter is a saint for current times. We will all need his unwavering faith, strength, and peace in the face of evil. As we watch the early 21st century America start down the same dark path as early 20th century Germany, I will vote for this timely saint in every contest. Were he to win the Golden Halo this year, it would give me some small measure of hope. Simply that I can keep my own faith and strength steadfast as the dark clouds of current times gather, as did he. Franz is certainly relevant today. I pray constantly that I may have the same resolve. I understand the disappointment that I some have noted over previous choices that have “lost”. I confess to fleetingly having similar thoughts. But, I quickly recall that this is but a fun game with the real goal of allowing me to learn more about some of our church saints. For instance, there is much to learn about and emulate in both of today’s choices. I chose Franz, though. For the specific US times, Franz may require very specific emulation. As difficult as it may be, I may need to stand for what is right, facing conflict as close as my own home. This time, I can’t emulate Sarah. So, this time, for me, it’s Franz. Oh yeah, come on SEC, next year we have to have a LIKE function. I know you are busy chasing away bots and plots and fake surges (not to mention hanging chads) but by next year, maybe you’ll have a chance to add even more fun to this annual gift you give so generously. Myth is simply truth hidden in story. There’s a big difference between myth and fiction. In myth, it might not have happened as written, but the story points to a deeper reality. Thank you, Diana, for responding. I get that “Myth is simply truth hidden in story”. My understanding is that Myth (capital M) can range from literally true in every detail to complete allegory. Various commenters have written (unless I misread them) that Sarah is in the latter category. And yet, everyone here at Lent Madness accepts the historicity of Jesus. What I would like to know is: What leads these commenters to conclude that Sarah is allegorical (mythical) while Jesus is literally real? I’m truly interested in what they would have to say, but so far, I have received no answer. Gotta love a guy who gave the “Pfbfttt” to Hitler. (“Bloom County” followers will understand), and a man who attunes his heart to the stirrings of God even in his dreams. Another new saint for my hall of heros! The sweet pic of Sarah is a real keeper. Thanks for that, y’all. 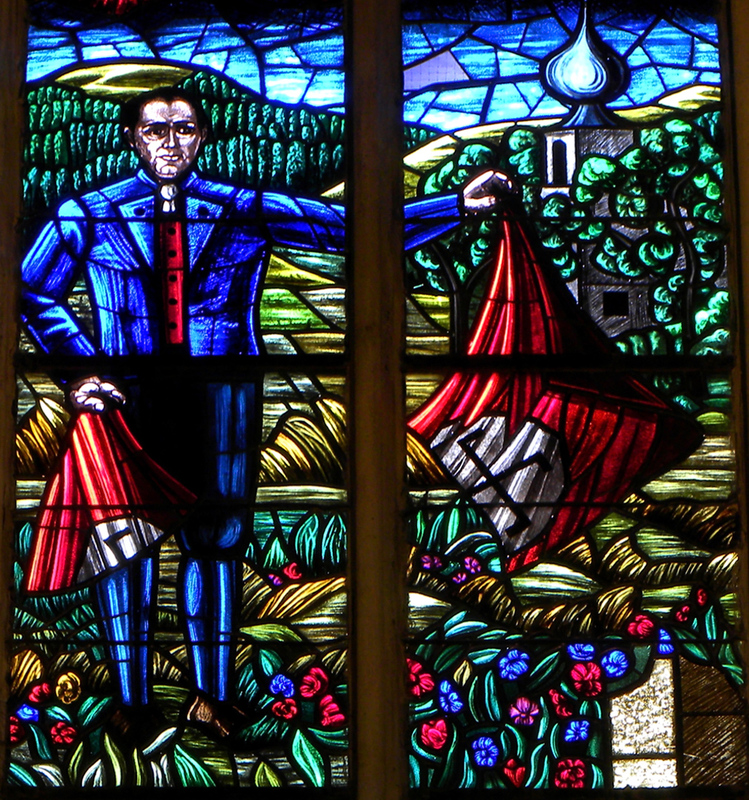 I voted Franz – the quiet, unassuming farmer who found himself down the martyr’s road. His quote about nominal Christianity was obviously something that came from time of deeply seeking God’s will. What makes him a Lent Madness MVP is the fact he lived out his convictions at great cost to himself and his family. By contrast, I’ve got a few great convictions and every day, I keep not doing anything about them! Franz’s words have echos of C.S. Lewis, Tim Keller and even some Lent Madness alums. Interestingly, today’s Franz narrative tracks closely with Forward Day by Day’s epic reading from Tues, 3/28 – the problem of people who want Jesus’ bread but not his life (referring to John 6:26). I am struck by the comments, muted but persistent, that somehow LM this year is “boring” or that it doesn’t appeal in some way to people. I believe I have some small insight into this malaise. One, I think we are living in critical times, and we are distracted. We partly want LM to fill the void and blot out those “worldly” distractions, and it can’t. Nor should it. I recall one of the injunctions after the Eucharist: Grant that we may be strengthened for service at the altar not pacified or falsely solaced. (That is a gross paraphrase.) We are Christians called to serve in both good times and bad times in history. Two, I think the SEC is doing something difficult: introducing new figures unfamiliar to many of us. It takes time to “warm up” to unknown saints. I like that those not forwarded can reappear in future years. It gives people time to become familiar with new names and to develop connections to aspects of spirituality not previously considered. I know one year I was very struck by the idea of a “gift of tears” (Margery of Kempe? ); now I probably will never adopt that into my spiritual practice. But I MIGHT. (One never knows what the future will bring.) But I do know the prayer “In all things give thanks,” and I will remember that weeping too might be a practice that is acceptable to the saints. So I would ask my brethren and sistren here in the LM community to consider that perhaps we are being subtly expanded in our awareness of the “cloud of saints” around us and that patience is an important Lenten practice. I don’t “like” all the saints presented, but I remember that each offers a small lens directed in its own way toward heaven, and while I will never employ them all, equally, I might be inspired by something unexpected. And I will see the familiar figures in a new light. That seems to me a gift, as are all of you. Blessings to all this Lent. St. Celia: “… each offers a small lens directed in its own way toward heaven.” I like that! St. Celia – Thank you for what you said. You are right on target. LIKE! I look forward to being part of this community every year. Thanks to you all for taking part in the conversation. This is my first year, Susan, and I’m enjoying it a lot. And each of us carries our own kind of sainthood within us. As others have said, this is Lent MADNESS. Only a couple of my choices have made it this far, but I am not going to bow out. It is mostly just for fun, isn’t it? As for the late surges, perhaps some people, appalled at who is winning, decide to vote at the last minute. Besides, some people are voting from time zones far away from the USA. I have a friend voting from India, for example. Despite the fact that Franz is ahead by a goodly margin, I am voting for Sarah. This is simply another example of not being able to lose, no matter what the vote count is at the end of the day: two great people up against each other, as has been the case all week! I went with Sarah again because she knew what her role was, and she made the best of it–that’s what laughter is for. Recognizing that last year’s halo went to the amazing Bonhoeffer, it seems that we need to look elsewhere for those with costly grace. Franz’s quotes are excellent. And the one about nominal Christians doing the most ha to the Church brought a couple of verses to mind. Some say Sarah is fictional just because she lived long ago and her story was passed down orally for generations before being written down. That the stories we have of our Judeo-Christian history from pre-literate time persisted through generations and centuries and even millennia mean there is some truth in them somewhere. As George Michael sang, you gotta have faith. You also have to persevere. And while both Sarah and Franz persevered and while you can argue that without Sarah we would not have Lent Madness [see Matthew 1:2 & Galatians 3:29] or anything else in all of Christiendom, I feel I must vote for Franz. His winning the coveted Golden Halo would be a nice metaphorical punch in the face to those who made him a martyr. I am heartbroken about the elimination of Schereschewsky and suspicious of the late surge. Jagerstatter gets my enthusiastic vote today — pfui Sarah, when there were many more saintly OT figures to choose from! I hope both Ruth the Moabite, an another ancestor of our Lord, and Queen Esther, who used her access to power at risk of her own life to save her people from death, make an appearance in future brackets. I finally decided to go with Sarah. After reading today’s write-up, I see her as an abused woman, passed off twice to a ruler’s harem, because Abrahm wanted to save his own skin. In spite of this and her grief over her childlessness for much of her life, she persevered. I like her quiet strength. However, I will not be disappointed if Franz wins. It was a hard choice for me today. Has anyone else looked at the image of Franz Jägerstätter and recalled a certain scene with Captain von Trapp in The Sound of Music? And speaking of the von Trapps, I have actually heard music from The Sound of Music sung live by actual von Trapp descendants at a Pink Martini concert. Yes! When I found that image it made me think of the same flag ripping scene. I wonder which one inspired the other? I usually enjoy reading LM and the comments with my first cup of coffee. However, the ones that were on top this morning left me feeling sad and a bit disgusted. This is just a game, folks. Why the grumpiness? Can’t we even enjoy a light-hearted (and educational) Christian game without getting “fed up”? Several of you managed to help me start my day grumpily, too. Thanks a lot! both excellent examples of faith and strength but I had to go with Franz who was willing to die for his beliefs. Loved his understanding that doing the right thing is the right thing. More political disasters every day. We need Franz’ testimony today, much as I love Sarah. I really wanted to vote for the ancient matriarch, but opted for Franz. I suspect that many people did the same, largely because of the current political climate in America. It’s good to honor someone who stood up against officially sanctioned prejudice and injustice. Boy, everyone is scrappy today! Remember that in basketball, often the winner is by one basket, or in football, only one touchdown. Close races at the end stage of a bracket is expected. Tournament of champions. BTW: Go Franz! Oops! Subject-verb disagreement. Close races at the end ARE expected. You just made my day! How many people still know that subjects and verbs are supposed to agree? Considering the times we are living in America, I’m going with Franz. Sorry, Sarah! Tsk, tsk LM community! I only discovered Lent Madness last year, and was thrilled with this creative and clever way to learn more about the saints and holy witnesses of our Christian faith! For years, the study of the saints lives has been a part of my devotional discipline. Thank you SEC, I look forward to my coffee and the crazy brackets every morning! And by the way, go, Franz !! I have long admired Sarah. In what was a very difficult time for women, she was a strong and insightful person. However, my vote today went to Franz, whom I believe we need more today than in the past 70 years. I feel a sense of deja vu when it comes to the current “leadership” in this country, and I only pray that I will have the faith and will to stand up against this regime. Anyone who showed such courage in the face of Nazi evil gets my vote! I don’t have a worthwhile thought to offer about the legitimacy of late surges, but I want to ask: Is anyone having a problem with scam-pop-up sites on LM? It was really bad for me, on my Mac OS 10.~~~~ whatever, 2 days ago. After trying to click on some links in the write-ups, I found that I could click on nothing, not on this site or any other, including my email client, without getting a pop-up to install a malware application that would have supposedly organized my hard-drive. It was nearly impossible even to shut down my system. After my systems-engineer husband helped me de-install this and install some legit malware-scrubbing software, the situation is much better, but it is still happening from time to time, mainly on this site. But I can’t give it up! It’s my 6th year and the only way I make it through Lent. If you are experiencing anything similar while visiting this site, please speak up here. Nefarious parties may be tinkering with this site, though not necessarily to do block-voting. The SEC can’t address the situation if they are not aware of it. That hasn’t​ happened to me here. Sounds like malware on your device. Sophos.com has a marvelous virus detection and removal tool. Worked great for me when I had a similar sounding problem. I also installed Avast and MalwareBytes for ongoing protection, and haven’t had the problem recur. BTW, I also installed AdBlockPlus, and haven’t seen an ad in years, not even on Facebook. All those programs are free. If you are near an Apple Store it might be a good idea to make a Genius Bar appointment, even though it means lugging you Mac in. If you are not near a store, calling Apple Care is an option (but unlike the Genius Bar, may cost you money). Also, make sure your Mac OS is completely up-to-date. This one is the most difficult f9r me so far. I would have voted for Sarah without a second thought a year ago, but today I have to go with Franz. YES! Vote for Franziska, too. Her martyrdom lasted decades longer than his. Jäggerstätter is the saint America needs in 2017. My dark horse pick for the Golden Halo win. This was another tough one. The father of my best friend survived being a concentration camp, and my husband and I are in the process of possibly getting custody of our 13 month old grandson (probably won’t happen without a miracle due to our age). So I went with Sarah in the end. But if Jaggerstatter wins I hope he goes all the way!!! Good luck, Sarah–I mean, Judith! Sarah believed God and lived in Hope, despite her present circumstances. Thus, she is a saint for all ages..
All of these searches why you really need to have people registered on the site my email and have them log on to the site before they are allowed to vote. Our Lutheran church in Morgan Hill, CA., is playing with a huge chart posted in the social hall updated daily. At our Lenten Soup Suppers on Thursday night each week, two volunteers take on the roles of the challengers and the those gathered vote for their favorite! I am so disappointed that Bishop Schereshewsky was eliminated by that Protestant. There doesn’t seem to be much point in voting anymore. Be not downhearted, Eric. Even when our favorites “lose,” we have the joy of learning​about these saints … and the fun of reading the comments. For what it’s worth, the term “late surge” was used to refer to the momentum gained by Martin Luther late yesterday afternoon into the early evening — Lutherans getting out the vote on social media? It wasn’t meant to imply any 11th hour shenanigans. Don’t forget, one member of the SEC used to work for IBM and keeps a close eye on any and all voting irregularities. We’re remarkably and uncharacteristically transparent when such things occur. And while we’ve had some unusually close match-ups this year, it’s all being watched and has been determined to be above board. Thanks for this, Tim. You and Scott are the best. Where’s Oliver? I always looked forward to his comments. Spring Break perhaps? It has been about two weeks now though. Has he commented since the photo of him with the bracket he made for his parish was posted? I’m voting for Herr Jägerstätter today. As I’ve said for some time, I’m looking forward to a Nightingale-Jägerstätter clash on Spy Wednesday. Jägerstätter exemplifies many of the qualities that people of faith need at a time such as this, when the principalities and powers turn against the vulnerable in our society. I’m glad to see that the levels of bile directed against Sarah for her role in the (probably legendary) Hagar-Ishmael story are not as obviously present this time as in her last appearance. What makes the Hagar story any more or less legendary than any other part of the story? Reading the earlier bits of the Abraham and Sarah story, Abe was 86 at the time of the birth of Ishmael and 99 at the time of the conception of Isaac. This would have made Ishmael around 13 or 14 at the time of Isaac’s birth. Nevertheless, the Hagar-Ishmael story speaks of Hagar carrying her (by then, adolescent) son as if he were a baby. This all points to a legend that grew a bit (or a lot) in the telling, something of which there is plenty in the OT. Not a fan of your legend theory about Hagar & Ishmael, but uber curious about your thoughts regarding Flo and Franz pairing. For the “legend theory”(which isn’t actually “my” theory, but the opinions of a large number of Old testament scholars, both Christian and Jewish), see my comments re Barbara’s question just above. Re my predictions about a Nightingale-Jägerstätter final on Spy Wednesday, there has been a definite preference in previous LMs toward more modern saints with a strong social justice-humanitarian dimension in their lives. These are the two strongest candidates who fit that particular bill (as well as the two that seemed to grab the highest level of positive support in LM). Each has already seen off some heavy-duty competition. My name is Zoey and I voted for Sarah. She was good and strong! Yes, she was, Zoey. Glad you’re playing along with Lent Madness. Hi Zoey. I’m so happy you voted and had such a good reason. I agree with you, Sarah was really good and so brave. Imagine living in the times she did, I’m sure it was scary. Keep voting. I’m looking forward to hearing your thoughts. Both wonderful witnesses. We live in times that call for both standing up against tyranny, and for quiet laughter as we offer ourselves up for God to use in ways that we cannot/do not always fathom. Our Old Testament ancestors brought my faith to life… as I suspect they did for Franz. Therefore, in a difficult choice… it was Franz for me first time around… this time it’s Sarah for me. I will be happy if either win. Both people are amazing. “Whoever sacrifices everything for God’s cause has made the best swap,” would suit Sarah’s story pretty well. As far as Hagar being Sarah’s idea, I’m not convinced it was an idea. It was customary. Abraham couldn’t just do it, or likely even ask, in good conscience. To stay kosher, Sarah had to be the one to speak it. In doing so she named herself a failure. I’d probably be kicking myself for that, too, along with anyone who got in the way. Ouch! I feel bad for Sarah on another level. Thanks??? On the upside, I’m psyched about all the new Swap Meets in my near future! Franz Jägerstätter. “Pfui, Hitler” , recognizing the pure evil of the Nazi regime, and having the courage to resist through his faith. Also for Franziska. While I voted for Jägerstätter, I liked the inclusion of Sarah and the reflection written for today. Fran’s for me today too. Sarah works well in theological reflection. She has become mythological, much like Moses. Well, much like Jesus’s stories. So little literal, so much experiential. Sarah was a woman of means and privilege. She escaped childbirth and all the drudgery that might attain to it. She would have had servants. I suspect her heart yearned for a child so she could experience motherhood as a young woman, but at nearly 100, that is myth. But who really needs the truth, it could have been a child of the village adopted into the family like Moses himself. So much to think and reflect on here…. Now Franz, a man of the 20th century, with his theology framed by modern thinkers. Prior to the 30’s I suspect he had a fine life, although scarcity did rule many families at that time, creating the “soil” for a new leader. Man were they fooled. A desire for embetterment, a focus for their talent and energies. He was a man with a conscience, with an awareness of a loving God, a desire not to offend the savior he knew. Boy, this could go on and on. I better stop before I reveal all my own insecurities and blindness, and/or, my deepening faith. Sleep tight! Agree with Joyce in Madison. Franz got my vote, and I am a late voter. My thoughts are that such a contest trivializes the biblical (Hebrew Bible) and the living gospel (Frank Jaegerstaeter) stories. At best, it creates a little and shortlived wedge in our cultural trend to reduce the truths revealed through them. I’m going with Sarah again today, but I greatly admire Jägerstätter’s courage.